NON-GMO, high-quality product rich in protein and a variety of essential minerals. Use them straight from the pouch to cook delicious meals without any extra preparation. 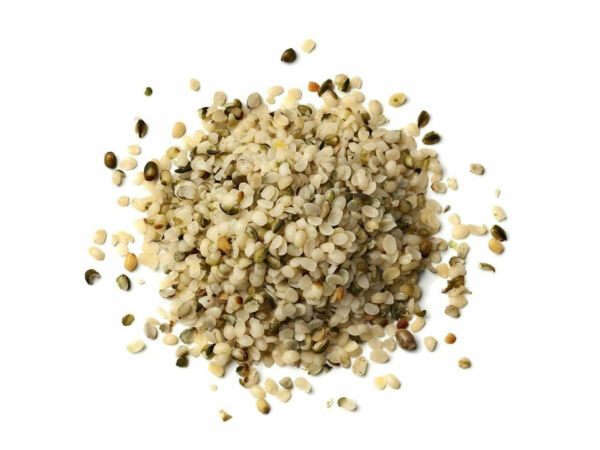 Add these tasty organic hemp seeds to sauces, baking dough, marinades, and many other dishes. A great source of highly digestible plant protein and essential omega 3 and 6 fatty acids. Food to Live Organic Hemp Seeds have a delicious nutty flavor you will definitely like. Organic Hemp Seeds from Food to Live are free of pesticides and other toxic chemicals. They offer a wide range of health benefits, in particular, for your cardiovascular system. The seeds are also known to suppress appetite, and thus can be used for weight loss. Store the seeds in their original bag with the ziplock securely closed. Keep them in a cool dry place or the refrigerator. The delicious nutty flavor of the seeds makes them a great addition to baked goods (mixed with dough) and salads. You can also blend them with other ingredients to create great dips and sauces or use them in marinades.